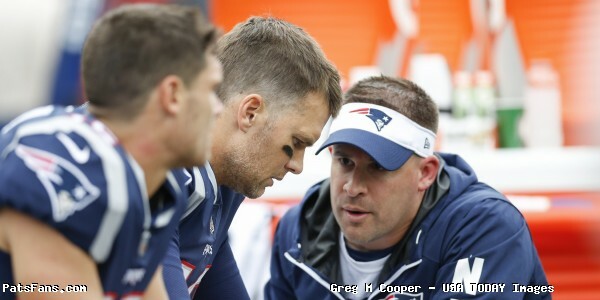 The New England Patriots were back learning more German this week. Former tackle Sebastian Vollmer along with New York Giants tackle Marcus Kuhn brought in defensive end Deatrich Wise to learn some German words and phrases. Check out the video below from the Patriots Deutschland Instagram. 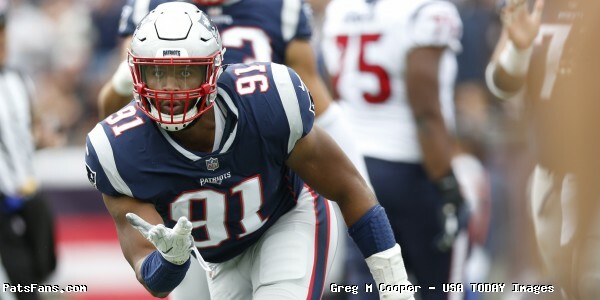 This entry was posted in Patriots Twitter, Patriots Video and tagged Deatrich Wise, Sebastian Vollmer on December 14, 2018 by Robert Alvarez. As part of the New England Patriots outreach to its fans in Germany, former tackle and German native Sebastian Vollmer returned with an all new “Seabass School of German” video. In the below clip shared on the Patriots Deutschland Instagram account, Vollmer and New York Giants tackle Marcus Kuhn, also of Germany, teach some words and phrases to Tom Brady, Deatrich Wise, Kyle Van Noy, David Andrews and Patrick Chung. This entry was posted in 2018 Patriots Regular Season, Patriots Video and tagged David Andrews, Deatrich Wise, Kyle Van Noy, Patrick Chung, Sebastian Vollmer, Tom Brady on November 30, 2018 by Robert Alvarez. The New England Patriots entered their Sunday afternoon tilt with the Chicago Bears seeking their first road win of the 2018 season. 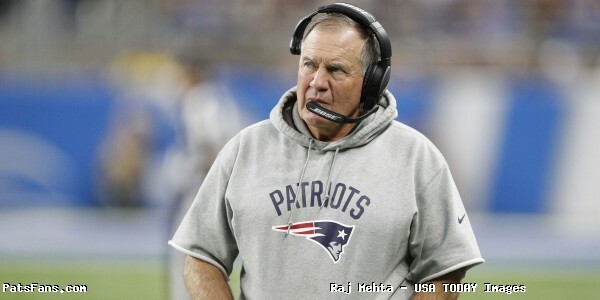 Under Head Coach Bill Belichick, the Patriots had never started a season 0-3 in road games. BIG MOOD. Look out for the Mccourty & Andrews dance studios coming soon! 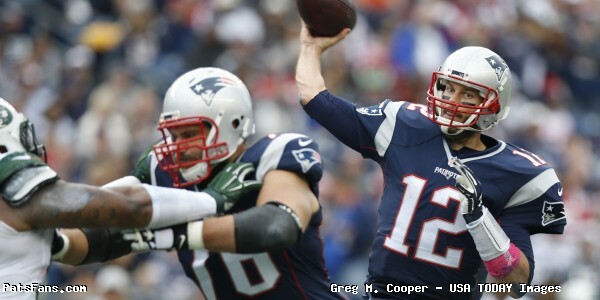 In the first quarter, the Patriots got the ball first, as Brady and the offense moved swiftly down the field for the games first touchdown. The Bears responded with a Cody Parkey 46 yard field goal, but a special teams fumble by Cordarrelle Patterson setup the Bears go ahead touchdown. 10-7 Chicago after one. 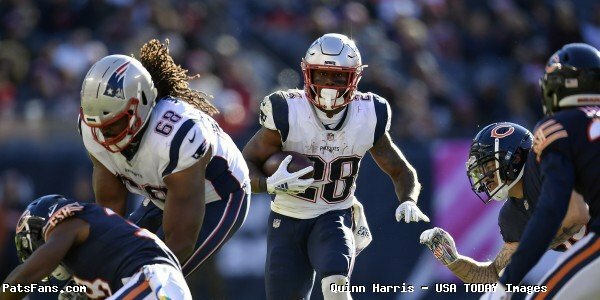 The momentum continued to shift Chicago’s way into the second quarter, when running back Sony Michel also turned the ball over on a fumble in what appeared to be a serious knee injury in the moment. Reports Tuesday later came out saying the injury was “not serious”. The fumble led to the Bears second touchdown of the game on a running back Jordan Howard two yard run to extend their lead to 10 at 17-7. Needing to weather the Bears 17-0 scoring run, kick returner Cordarrelle Patterson redeemed his fumble in a big way, returning the ensuing kickoff 95 yards for a touchdown. 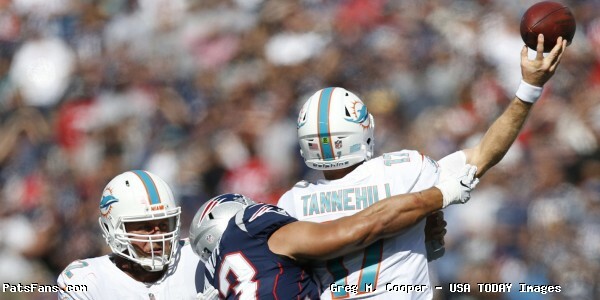 The Patriots deficit was trimmed to 17-14 at the ten minute mark of the second quarter. Following a Bears punt, wide receiver Josh Gordon continued his streak of highlight reel receptions. The catch helped setup running back James Whites go-ahead touchdown pass from Tom Brady and a 21-17 halftime lead. Every week I like Josh Gordon more and more. James White's fifth TD reception of the season, tying his career high for TD catches in a single season (2016). In the second half, quarterback Mitch Trubisky continued to show off his running ability as the Bears regained the lead again courtesy of Tarik Cohen. 24-21 Bears. #Bears QB Mitch Trubisky has 81 yards rushing on 6 carries, the most rushing yards by a CHI quarterback since Cade McCown had 87 in season opening 30-27 loss to #Vikings on Sept. 3, 2000. 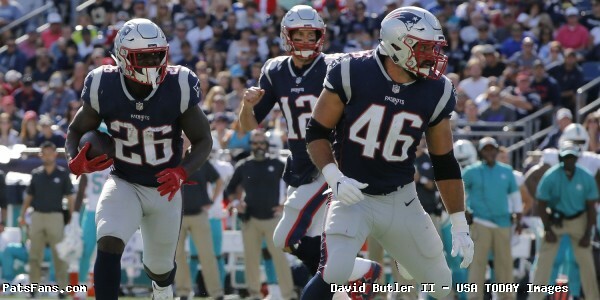 Following a 29 yard Stephen Gostkowski field goal to knot the game up at 24 all, the Patriots special teams unite came up big again courtesy of Dont’a Hightower and Kyle Van Noy. A 31-24 Patriots lead after three quarters following the first blocked punt return for a touchdown in team history for over 20 years. Patriots' first blocked punt for a TD since Tedy Bruschi in 1996. According to a source, upon hearing this, Bruschi just said, "Aaaaaaaawwww yeah!" With the Bears driving to open the fourth quarter, cornerback Jonathan Jones made an incredible leaping interception of Trubiski for the teams second pick of the day. Jonathan Jones makes Trubisky pay for another bad throw. Outstanding effort! The pick gave the ball back to Brady, and he made the Bears pay following this deep 55 yard pass to Josh Gordon that setup James White for another touchdown. A 14 point 38-24 lead with 8:40 to go in the game. The 55yd reception by Gordon ties Patterson (Week 4 vs Miami) for the longest pass play of the season. The turnovers continued to hurt the Patriots however, as Tom Brady endured another hard luck interception by way of a dropped pass that gave the Bears life. Kyle Fuller gives us the back ball! The Bears cashed in as Trubiski found Trey Burton to make it a one possession game with 4:13 remaining. 38-31. The Bears had one more chance to send the game to overtime, but it fell just (a yard) short. The Patriots would escape Chicago with their fourth consecutive win to move to 5-2 on the season. They’ll head to Buffalo for Monday Night Football Next.
.@TreyBurton8 makes it a game. Gotta love successful business trips! Two-straight weeks the #Patriots used Stephon Gilmore to shadow an opposing wideout. Last week Sammy Watkins, this week Allen Robinson. Their combined stats: three catches, 22 yards. Should we call it Gilmore island? 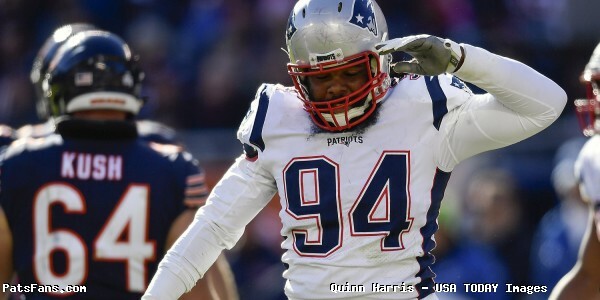 This entry was posted in 2018 Patriots Regular Season, Patriots Photos, Patriots Twitter, Patriots Video and tagged Adrian Clayborn, Chris Hogan, Danny Shelton, David Andrews, Deatrich Wise, Dont'a Hightower, James White, Jonathan Jones, josh gordon, Julian Edelman, Kyle Van Noy, Rob Gronkowski, Stephon Gilmore, Tom Brady on October 22, 2018 by Robert Alvarez.